Gem�ss Entscheidung der Alliierten Milit�rregierungen war die Vorf�hrung des Films in Deutschland verboten. 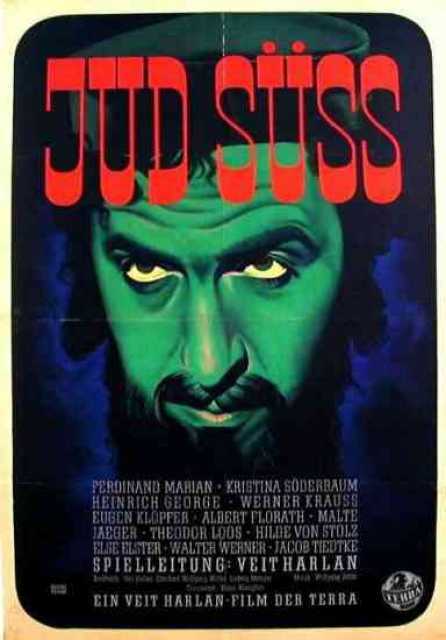 Jud S�ss is a motion picture produced in the year 1940 as a Germany production. The Film was directed by Veit Harlan, with Ferdinand Marian, Kristina S�derbaum, Heinrich George, Werner Krauss, , in the leading parts. We have currently no synopsis of this picture on file; There are no reviews of Jud S�ss available. Staatspolitisch und K�nstlerisch besonders wertvoll, jugendwert.